Do I need bookkeeping qualifications? 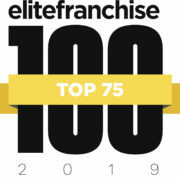 Not in all cases – our most successful Franchise Partners hit their targets due to their drive, determination and ability to be on their business not in it following our proven business model and franchise system. Full training is provided regarding the Rosemary model of bookkeeping. Our management entry level model enables people who want to run a business which provides flexibility but enables strong growth by developing a team of bookkeepers (your bookkeepers will need to be either experienced or qualified). All our Franchise Partners utilise our knowledge banks and technical team at head office who have over 60 years bookkeeping and accountancy experience. Our bookkeeping franchise offers an alternative to those seeking an Accounting Franchise – you could run a Rosemary bookkeeping franchise servicing your clients with a team of bookkeepers enabling you to deliver the level of service accountants require.